The Social Security Administration faces a growing backlog of applications for disability benefits. Budget cuts have left the agency understaffed and slow to hold hearings with administrative judges responsible for reviewing cases. 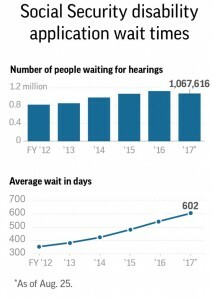 Graphic shows number of people awaiting disability hearings and average wait times. 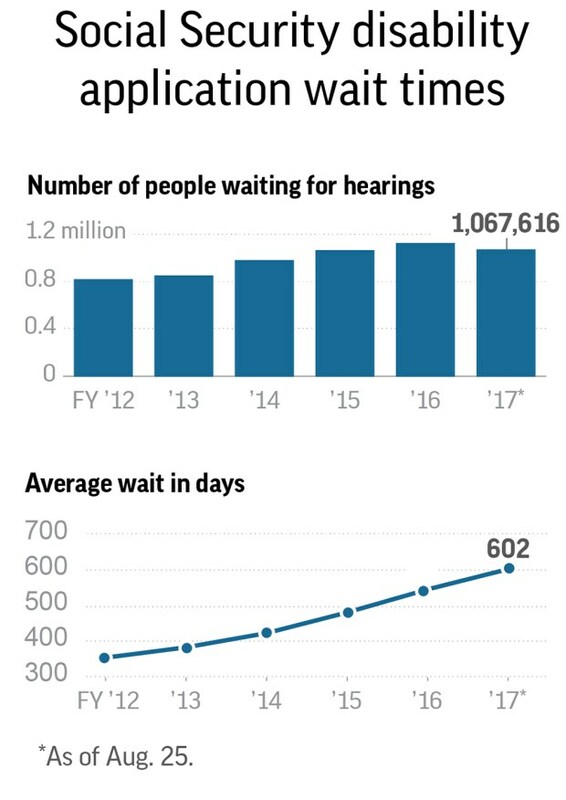 “The average wait for a hearing is 602 days. Five years ago, it was less than a year,” writes reporter Stephen Ohlemacher for the Associated Press/Denver Post. Click here to read his full article. A former New York City police officer pleaded guilty to charges of defrauding the Social Security Administration on Wednesday. Prosecutors said Joseph Esposito helped police officers, firefighters and other city workers obtain disability benefits by faking mental illnesses. Read more. How Medicaid forces the disabled to be poor (but some bipartisan help is on the way). 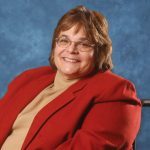 Medicaid-financed services are essential in helping millions of people living with disabilities quite literally survive. However, there is a major flaw in the oft-debated Medicaid system that is starting to be addressed by members of both parties in Congress– namely, that people with disabilities have to live, “officially at least, as a pauper.” In order to receive life-long care, Medicare recipients cannot have money saved away (as in a college fund for children) and must continue working to receive continued funding. 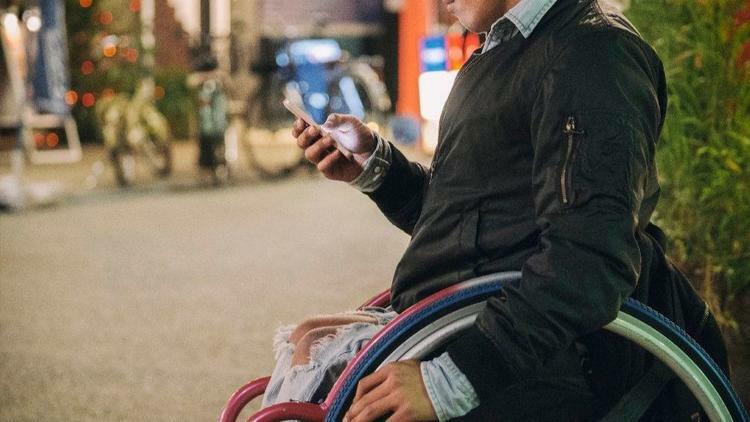 The Achieving a Better Life Experience (ABLE) Act of 2013 would allow people with disabilities to establish savings accounts to be used for a variety of purposes, including education, housing, assistive technology and other basic needs. ABLE, sponsored by more than 400 members of Congress, is on the legislative agenda again this year and is expected to be voted on in the coming weeks. Read more. The second arrest in as many months in an ongoing investigation into alleged Social Security Disability Insurance fraud netted 28 more people yesterday. The Manhattan District Attorney charged the accused– mainly retired New York City police officers and firefighters– with grand larceny and attempted grand larceny. In early January, more than 100 people were arrested on similar charges, again mostly New York City law enforcement. Authorities said the scheme could date back 26 years and involve up to 1,000 fraudulent schemes. Read more.